Make chocolate cupcakes. Ice with chocolate frosting. 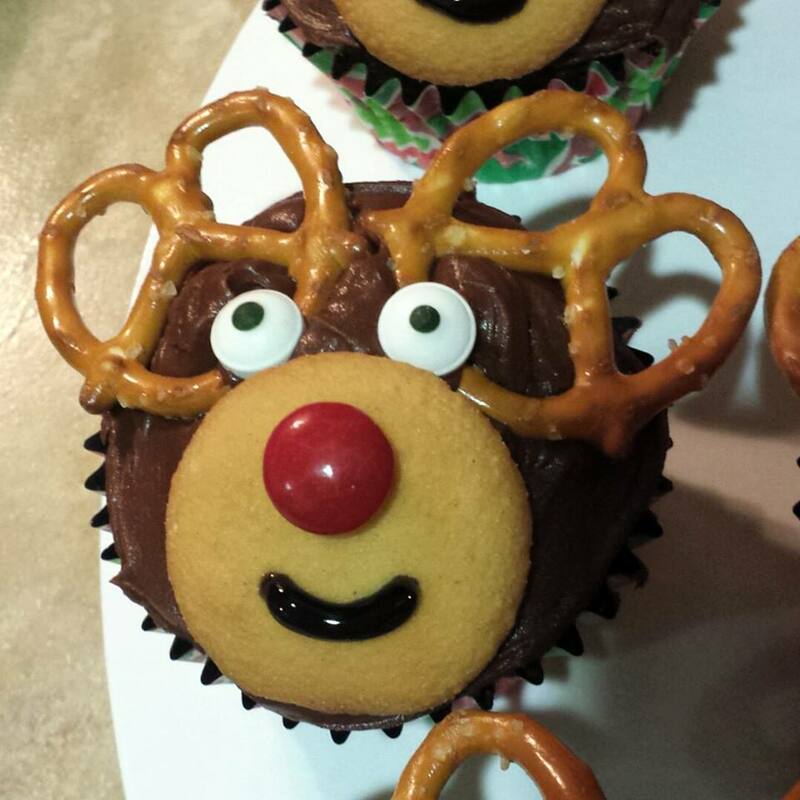 Attach pretzels and nilla wafers to make antlers and snout. Add candy for eyes and red nose. Pipe the mouth and dots for the pupils. This entry was posted in Crafts ~ DIY ~ Projects, ~Christmas, ~Edible and tagged frosting, m&m, nilla, pipe, wafer, waffer, x-mas, xmas, ~Christmas. Bookmark the permalink.